Suction of an ear canal is performed under direct vision using a binocular microscope which makes it very safe. Suctioning is the preferred method of cleaning the external canal if the canal is infected (otitis externa) or if there is a history of damage to the ear drum. The ear canal is the passage that extends from your ear down to your ear drum (approx 2.5cm in adults). 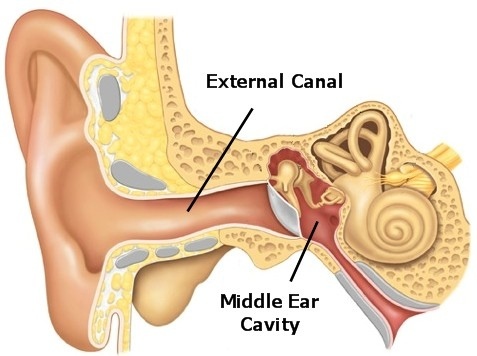 The ear canal is narrow and curved and can become blocked with wax, debris from infection, skin, or a foreign object. If your ear is blocked with wax it is preferable to use drops to soften the wax for at least 3 days before suctioning. Drops from the pharmacy such as Cerumol or Waxsol are appropriate, or drops can be purchased from the medical centre. Olive oil can also be used. Some external ear infections can be difficult to treat and may require suctioning on several occasions. People describe the experience as tickling with windy, squeaky, popping sounds. If your ear canal is sensitive or inflamed it may at times be a little uncomfortable. Let the doctor know if you are feeling uncomfortable.